Dell PowerEdge C6320 4 x Node Ultra-Dense 2U Rack Server. 1 x 2U Rack Server with 4 x Node servers installed and populated. Each Chassis can take up to 24 x 2.5" SAS/SATA Hard Drives (allocated up to 6 per node). Dell Poweredge R810. DELL Poweredge Servers. 256GB Installed - ( Call for upgrades ). Dell Poweredge 1950. Dell Poweredge 2950. Dell Poweredge R410. Dell Poweredge R510. Dell Poweredge R610. Dell PowerEdge R740 Rackmount Server. 1 x 300GB 15K SAS Hard Drive HDD 2.5" Hot-Plug Drives. 32GB DDR4 Ram ( 2x 16GB ). Rails Included. 8 x 2.5" Hard Drive Bays. DVD RW Drive. Dual Redundant Power Supplies. Dell Poweredge R810. DELL Poweredge Servers. 256GB Installed - ( call for upgrades ). Dell Poweredge 2850. Dell Poweredge 1950. Dell Poweredge 2900. Dell Poweredge 2950. Dell Poweredge R200. DELL PowerEdge R720XD Rack Server (OEM). Storage: 24 x 300gb 10K SFF 2.5" SAS Disks Included. Backplane: 1x 24 Bay 2.5” SFF SAS / SSD (takes up to 24 x SAS /SSD drives ) (1x2Bay 2.5" Flex Bay Kit option) . Dell T7910 Wokstation Including Dell T7910 Workstation Chassis. NVIDIA Quadro P4000 8GB Graphics Card. 128GB DDR4 RAM. Dell PowerEdge is a trademark of Dell Inc. HP is a trademark of HP Inc. PowerEdge is a trademark of Dell Inc.
DELL PowerEdge R720XD Rack Server. OS (Evaluation Ver): Tested with VMWARE ESXI. 6.5 Windows 2016 / windows 2012 HPC. Storage: 6 x 4TB 7.2K SAS Drives Included (Takes up to twelve) . Backplane: 1x 12 Bay 3.5” LFF SATA (takes up to 12 x SAS /SATA drives ) (1x2Bay 2.5" Flex Bay Kit option) . Dell Poweredge R810. DELL Poweredge Servers. Dell Poweredge 1950. Dell Poweredge 2950. Dell Poweredge R410. Dell Poweredge R510. Dell Poweredge R610. Dell Poweredge R710. Dell PowerEdge R810 (4x E7-4850) 2.00 Ghz 10-CORE 512GB RAM PERC H700 32-CORES iDRAC 6 Enterprise & 2TB SAS. Dell Poweredge R810. 512GB Installed - ( call to downgrade to 256GB or 128GB or 64GB ). DELL Poweredge Servers. Dell Poweredge R810. DELL Poweredge Servers. Dell Poweredge 2850. Dell Poweredge 1950. Dell Poweredge 2900. Dell Poweredge 2950. Dell Poweredge R200. Dell Poweredge R410. DELL PowerEdge R720XD Rack Server (OEM). Backplane: 1x 24 Bay 2.5” SFF SAS / SSD (takes up to 24 x SAS /SSD drives ). Storage: 2 X 120GB DELL ENTERPRISE SSD 22 X Caddies included. Rack Rails: Not Included . DELL PowerEdge R720XD Rack Server. OS (Evaluation Ver): Tested with VMWARE ESXI. 6.5 Windows 2016 / windows 2012 HPC. 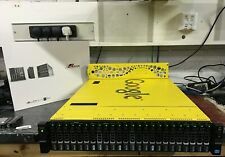 Storage: 12 x 4TB 7.2K SAS Drives Included (Takes up to twelve) . Backplane: 1x 12 Bay 3.5” LFF SATA (takes up to 12 x SAS /SATA drives ) (1x2Bay 2.5" Flex Bay Kit option) . DELL PowerEdge R720 Rack Server. Storage: 2 x 4TB 7.2K SAS Drives Included (Takes up to 8) . Backplane: 1x 8 Bay 3.5” LFF SATA (takes up to 8 x SAS /SATA drives ). 2 x CPU Sockets both Processors installed ( 16 CPU Cores/ Logical Processors / 32 threads). Dell PowerEdge R820 Including Dell R820 8 x 2.5" Bay - Chassis. 128GB RAM (PC3-12800R Modules). Dell PowerEdge is a trademark of Dell Inc. HP is a trademark of HP Inc. PowerEdge is a trademark of Dell Inc.
128GB DDR4 RAM. Dell PowerEdge M630 Including Dell PowerEdge M630 2 x 2.5" Bay Chassis. 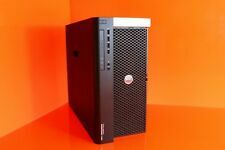 Dell PowerEdge is a trademark of Dell Inc. HP is a trademark of HP Inc. PowerEdge is a trademark of Dell Inc.
Dell PowerEdge R730XD Including Dell R730XD 24 x 2.5" Bay - Chassis. 128GB DDR4 RAM. Dell PowerEdge is a trademark of Dell Inc. HP is a trademark of HP Inc. PowerEdge is a trademark of Dell Inc. Condition: Dell Boxed. H740P RAID Levels: 0, 1, 5, 6, 10, 50, 60. Dell PowerEdge R740 2U Rack Server. 128GB (8x16GB) DDR4 RAM. x16 way Backplane for up to 16 x 2.5" SAS, SATA or SSD Hot-Swap Drives. Dell Servers HP Servers Hard Drives Powervault Arrays Equallogic Storage Networking Tape Drives.